Today’s symposium on the January 13 – January 24 Suspension of Work was incredibly well attended. 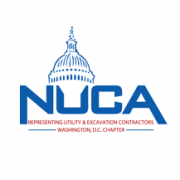 Over a dozen NUCA members had multiple representatives in attendance, along with General Contractors such as Clark, Balfour Beatty and more. Presenting at the meeting were DDOT, Metro Police Department, OSHA, DCRA and the Secret Service. Emphasis was made at the meeting by several individuals that coordination and planning could have been better to minimize the negative economic impact to the contractors of Washington DC. We will continue to pursue this issue, and work to to reduce the potential impacts of future suspensions of work for the utility contracting community of Metropolitan Washington.